A skirt a day… keeps the pants at bay. Manic Monday We all know what’s ahead of you: meetings, countless cups of coffee, a full inbox, more phone calls than you have time, and unforeseen issues demanding immediate attention. 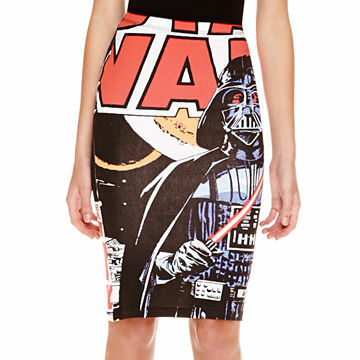 Save the day in style with this voluminous skirt that’s corporate appropriate and commands authority. 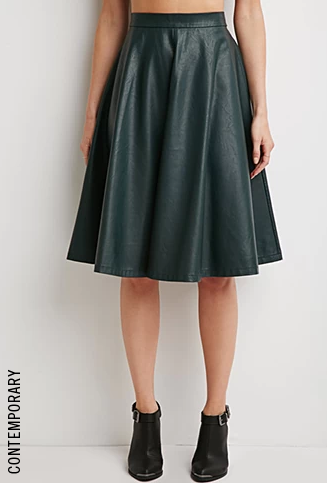 Tuesday Congratulations, you survived Monday and made it to treat-yo-self Tuesday, brought to you by this fab skirt with a silver sheen. Wednesday Don’t slump on hump day; add some color! 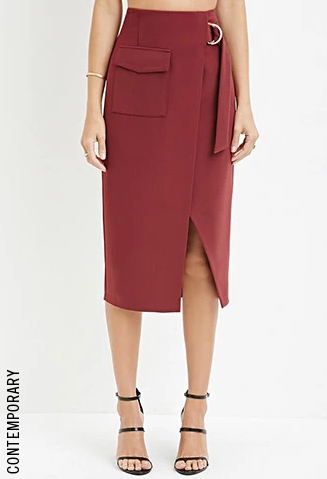 This burgundy skirt has a conservative slit that balances out its hip pocket and longer length. Friday, Friday, Gotta get down… You get the idea. One more work day left between you and your weekend. Power through in this hunter green, faux-leather number. Saturday It’s the weekend and time to keep it laid-back and a little funky. This skirt does just that. 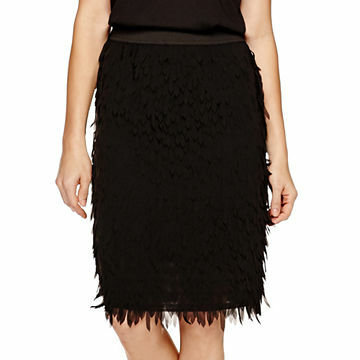 Sunday Have some fun in this flirty, fringed number and meet up with the girls for brunch. Do you love skirts as much as I do? Leave your thoughts in the comment section below! And as always, thanks for stopping by MoreThanTrends.